Hello! Welcome to yet another post in Halloween 2014 series where I write about easy Halloween craft ideas, recipes and other interesting things catering exclusively to Halloween!Have you missed the previous posts in the series? Check them all out under Halloween 2014 category. If you come across Halloween 2013 category while you are here, you may want to check out that one too as the series last year is still as good as gold 🙂 Have fun! Who doesn’t love owls? 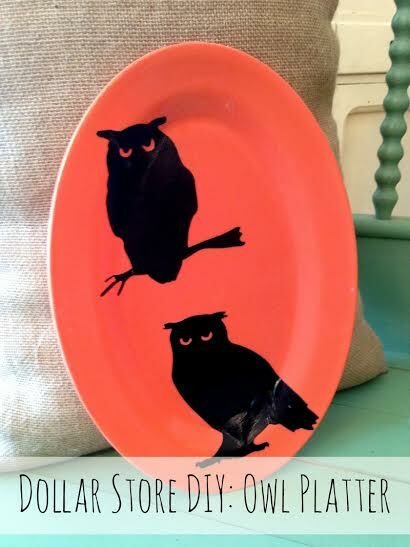 Halloween is the perfect time to bring the cool look of owls into your décor, and this Halloween owl platter is the perfect way to do just that! Take a look at how we turned a handful of Dollar Tree supplies into a cool Halloween owl platter that would look awesome in so many spaces. This Halloween craft is so easy, that adults and children both can enjoy it. We found everything we needed (with the exception of the Mod Podge) at our local Dollar Tree. Out total cost for this project was just a few dollars, and it gave us plenty of leftover materials for more projects in the future. 1. 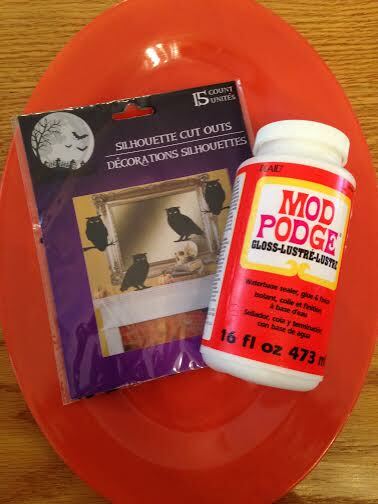 Begin by applying a thin coat of Mod Podge OR white craft glue to the platter. Spread it thin. 2. Place the owl die cuts on top of the coating. Press them firmly and be sure to remove any air bubbles that may be under the paper. 3. Once the owls are smoothed out, pour some craft glue or Mod Podge over them. Spread it over the owls again in a smooth and even coat. Take a cloth and remove any extra substance. Be sure you run your hand over the owls one last time to get rid of any air bubbles or ripples that may be present in the paper. Your Halloween owl platter will now need to dry. Give it a good two hours for this process to happen. As it dries, it should leave a clear seal over the owls to hold and protect them to the platter. 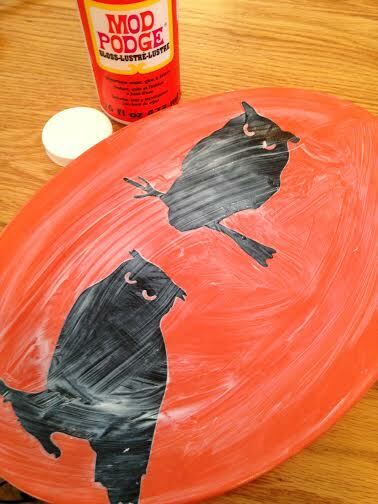 Once your Halloween owl platter is dry, your piece is now ready to be displayed. Prop it up on a mantle, put it in a plate holder, or you can even use it as a centerpiece. There are so many ways you can use this owl platter in your décor! I’m generally scared of owls. 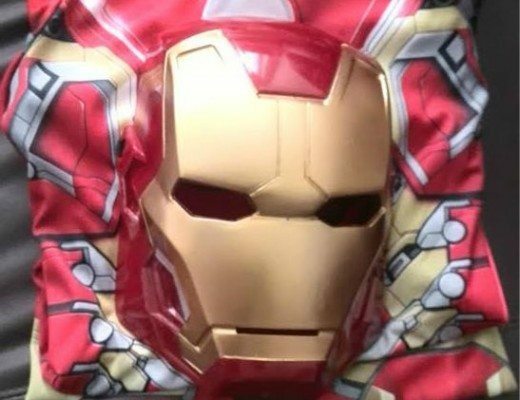 but these aren’t that bad LOL There’s no end to the creativity with this type of craft, though! Kristen from The Road to Domestication recently posted…It’s Time to Organize Your Drawers! Oh-one of my friends birthdays is Halloween and she loves owls–I so wish I was crafty enough to make this platter for her-I know she would love it. What a fun and easy project. Plus a great platter for serving spooky treats on. 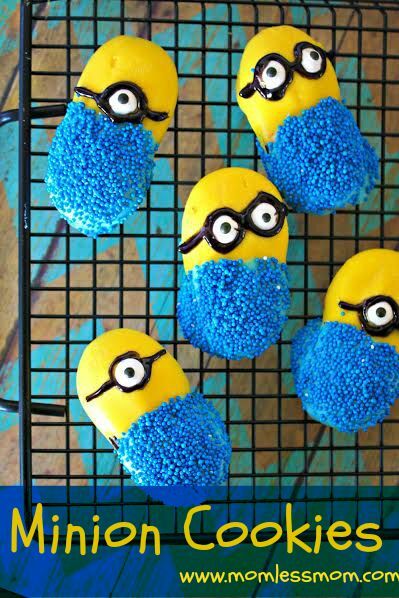 I am not crafty but this is something I could do. I love how simple and adorable it came out! I’m SO crafty and this is absolutely adorable. My mother-in-law loves owls. I’ll have to try this for her! Well that’s just cute! I pinned that one to my Fall board. Thanks for sharing it! Oh, Modge Podge, how I love thee! Cute project, pinning to my Halloween board! Ooh that’s awesome! I would’ve never thought of that but then again I don’t think I have one artistic bone in my body! Either way, thanks for sharing. You did a great job with this. I can even change out the owls for something else as well. Thanks for the tutorial.